Affected by stress, the heart works harder, breathing becomes more rapid and shallow, and digestion slows. Nearly every process of the body is degraded. Researchers have estimated that 80% of disease is stress related. Since we usually can’t avoid it, the key to dealing with stress is relieving it! A soothing and relaxing soak in a hot tub can help counteract stress and its effects on the human body. It is the perfect antidote to a hectic and stressful lifestyle. The warm water and soothing massage relieves anxiety and relaxes tense muscles. Helps relieve high blood pressure, headaches, and chronic pain due to stress. According to a publication from The Arthritis Foundation, Spas, Pools, and Arthritis, “Regular sessions in your hot tub helps keep joints moving. It restores and preserves strength and flexibility, and also protects your joints from further damage. Exercise can also improve a person’s coordination, endurance, and the ability to perform daily tasks, and can lead to an enhanced sense of self-esteem and accomplishment.” Approximately 43 million people in the United States suffer from some form of arthritis pain. The good news for these victims is that there are safe and effective ways to both minimize the discomfort and prevent further damage. 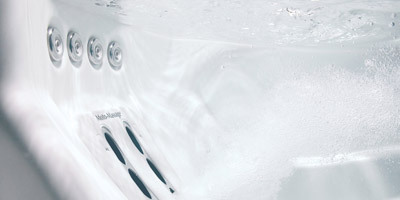 A hot tub fulfills the need perfectly providing the warmth, massage, and buoyancy that is so necessary to the well-being of arthritis sufferers. The buoyancy of the water supports and lessens stress on the joints and encourages freer movement. Water exercises may even act as a resistance to help build muscle strength.” Heat warms up joints and decreases swelling. It makes collagen tissue more stretchable, so you’ll move more freely with less pain. Heat provides just enough resistance without aggravating arthritic joints and weakened muscles. It also may help build muscle strength and restore range of motion. Heat accelerates the natural healing process and eases pain, fatigue and soreness due to exercising. It also lowers blood pressure and relaxes muscles and stimulates the release of endorphins, the body’s natural painkillers. Heat increases blood flow and circulation and speeds the elimination of toxins, which are replaced by oxygen and the body’s natural nutrients. Studies suggest that immersion in hot water (such as a hot tub which has a constant temperature) before bedtime can ease the transition into a deeper, more restful sleep. This may be due to a temperature shift since the body’s core internal thermostat drops after leaving the water, which signals the body that it’s time to sleep. Or, the sleep improvement may also be related to hot water’s relaxing properties—the buoyancy of water reduces body weight by approximately 90%, relieving pressure on joints and muscles creating the sensation of weightlessness. The hot, swirling water leaves you feeling both mentally and emotionally relaxed. An added benefit of a hot tub-induced sleep is that it’s a natural remedy, unlike alternative sleeping aids, such as prescription drugs, over-the-counter remedies, and alcohol, all of which can make you feel groggy and have other adverse side effects,” said Cunningham. 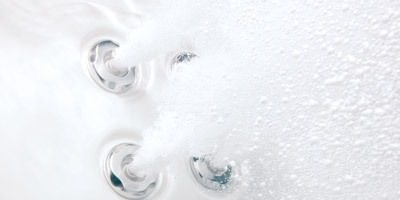 In an effort to promote the use of hot water as an aid in obtaining a better night’s sleep, HotSpring® Spas, the world’s number one selling brand of portable spas, has formed a partnership with the National Sleep Foundation. There are possible benefits for people suffering from Type 2 Diabetes Mellitus. Heat reduces blood sugar levels and provides improved sleep. It also gives a boost in general sense of well-being and is especially helpful to patients who are unable to exercise on land. NOTE: For those with diabetes, always consult with your physician prior to beginning hot tub treatments. Spas are the perfect everyday family vacation. It provides quality time and a place to communicate and get reacquainted with your family. It is the perfect complement when entertaining friends. The neutral environment magically stimulates conversations and romantic thoughts are more easily shared with those you love when relaxing close together in warm water.